Hi stampin’ friends! So glad you’re back for our third day of Note Cards Week. If you missed the stunningly simple embossed noted cards from day 1 & 2, see Part 1 HERE and Part 2 HERE. Today I’m hoping to set your heart aflutter with three simple cards using the new BUTTERFLY GALA Stamp and Punch Bundle. They’re each a little different, so pick your favorite! Butterfly stamps align perfectly with the punch for easy-peasy punching! This card (above) is my personal favorite of the three. If you enjoy coloring, it might just be yours too! Choose from four different butterfly designs and color as much (or as little) as you want. 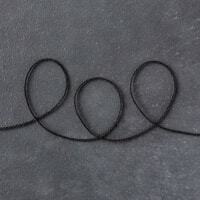 Stamp butterflies and sentiment with Staz-On Jet Black Ink* or Archival Basic Black Ink (retired). Optional: Stamp envelope to match. 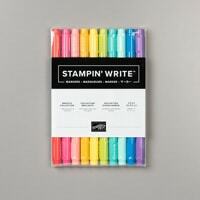 Selectively color the wings with your favorite Stampin’ Write Markers. Shown is Coastal Cabana & Bermuda Bay (large butterflies) and Flirty Flamingo and Poppy Parade (small butterflies)- all are from the Brights Collection. Apply a little Wink of Stella Glitter Brush to large butterflies. 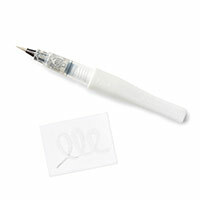 *Staz-On or Archival Ink is recommended with Stampin’ Write Markers, so as not to cause bleeding. 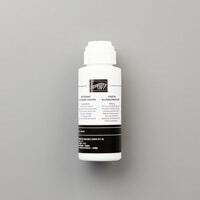 Staz-On Cleaner is needed to remove Staz-On Ink (there’s a reason it has that name!). 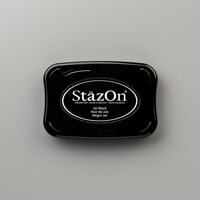 After removing the ink, it’s important to immediately remove Staz-On Cleaner with soap (like Dawn Dish Soap) & water. If it remains, it can harm photopolymer stamps. Follow these directions and you’ll be fine! This card is similar to the first, but uses 2-step stamping instead of hand coloring. Stamp large butterfly with coordinating solid image stamps in Highland Heather ink (top part) and Gorgeous Grape ink (lower part). Optional: Add details to the top part of the wings with a Gorgeous Grape Stampin’ Write Marker. Add dashed lines with a Basic Gray Stampin’ Write Marker. This card is the quickest to make of all three! 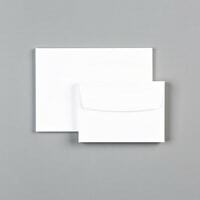 Adhere die-cuts on card with Multipurpose Glue or SNAIL Adhesive. Adhere butterfly in center only with same adhesive (this allows the wings to flap freely). 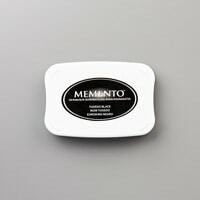 Order these suggested items and earn a free Sale-A-Bration item. 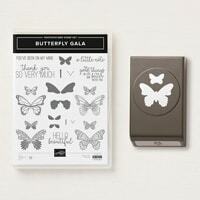 I recommend picking the Botanical Butterfly Designer Series Paper. It coordinates beautifully with this bundle- use the punch to cut out the DSP butterflies! Add the current Rewards Code for freebies from me, too!